The recent spate of attacks — seven since June in North Carolina alone — has little to do with the shark population off American coastlines. Shark attack, George Burgess says, "is driven by the number of humans in the water more than the number of sharks." Those who spend much time on the Carolina beaches know that many shark species, and even whales, are frequent visitors during the summer. And, though it's extremely rare, those sharks have been known to attack humans. But this year, there have already been seven shark attacks off the North Carolina coast since June. It's a number that has surprised even the most seasoned of shark-watchers. "We have a sort of perfect storm going on there," says George Burgess of the International Shark Attack File, a long-running database of shark attacks at the Florida Museum of Natural History. He tells NPR's Lynn Neary that, while experts don't know precisely what's causing the uptick in attacks in North Carolina, there isn't much doubt about how you ought to respond if you're caught in one. "There's nothing to be gained by playing dead here," he says. "If a shark is actually coming to grab you, if you can give it a pop on its nose more than likely it will veer off. Take advantage of that time, of course, to get out of the water." People surround and attend to a 68-year-old man who was bitten by a shark in waist-deep water off Ocracoke Island, N.C., on July 1. 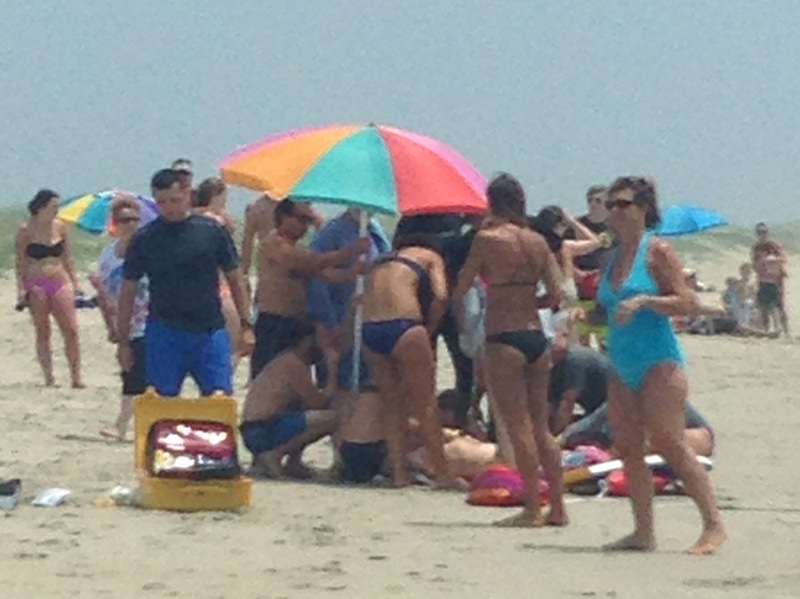 The man suffered wounds to his rib cage, lower leg, hip and both hands as he tried to fight off the shark. Now, does that explain the seven [attacks] we've had in three weeks? The answer is no. There's some other stuff going on here that we don't know about — we'll call it an X factor. Probably, oceanographic factors are involved. All shark attacks are, of course, fundamentally motivated by feeding. And probably 90 percent of all shark bites — they're quick grabs and let-goes by small sharks, but a small percentage of those are done by the big boys and girls, the larger sharks. When they bite, whether it's intentional or unintentional, [those bites] result in major injuries. And unfortunately, that's what we've seen in North Carolina. We've had several of these bites that are the real thing. Any time a community has its first Jaws-like scare, the first thing that occurs is there's fear in the community. The second, there's denial. And then the third is retribution. Let's hope we don't get to the revenge stage. The chances of catching the actual shark that was involved in this are slim to none. 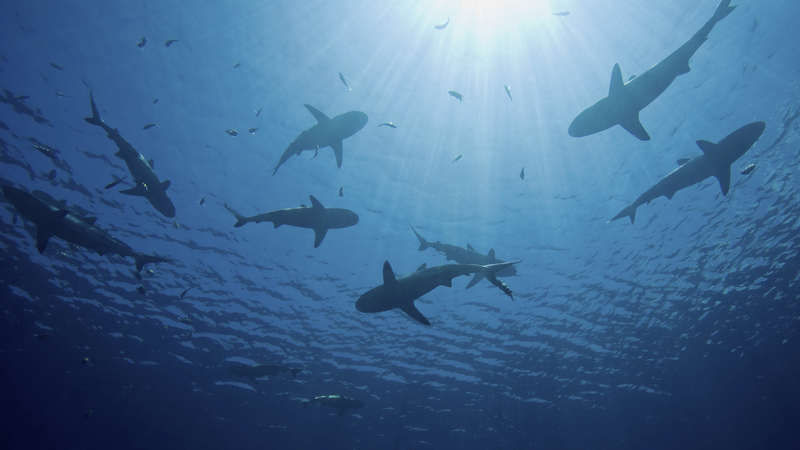 Shark populations in the United States and around the world are at perhaps all-time lows. On the other hand, the human population continues to rise every year. We have no curbing of that. And fundamentally shark attack, then, is driven by the number of humans in the water more than the number of sharks, and when areas such as the Carolinas become popular tourist destinations, as they have, there's more people entering the water. You're going to end up having more shark bites.